Hyperscale - microcare the digital cook book. Thanks to open source, the Cloud and API's, it is easier than ever before to build software. As a result, competition is tough, prices are under pressure. Stop developing software and start delivering service. Stop building software, start building a service. Why is there such a large gap between the book value of digital companies, and their valuation? Digital services build up new types of assets one does not (yet) find in their balance sheet. A strong online presence is one such asset, a loyal customer base is another. 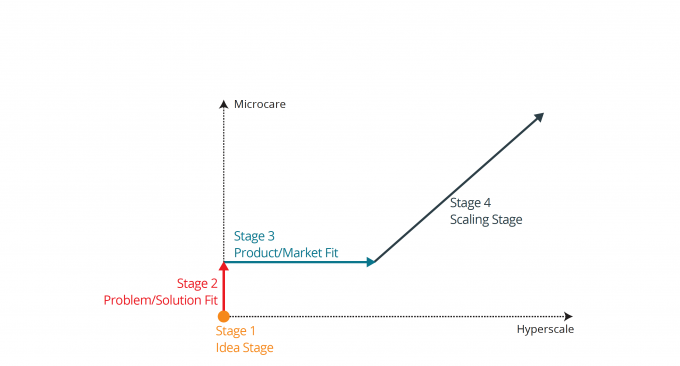 The “Pool Chair” Curve and the venture lifecycle stages: at the early stage the Microcare Tactic prevails, at a further stage the Hyperscale Tactic becomes dominant and finall in the scaling stage both tactics should be combined simultaneously. "Een warm pleidooi voor het boek 'Hyperscale and Microcare, the Digital Business Cookbook' van Peter Verhasselt en Nick Boucart. A must read for digital entrepreneurs (to be) based on 10 years coaching hundreds of companies. 3 paradoxes to understand the business of digital services. The Strategy Paradox and the Digital Métier - In this section, we'll introduce the idea of designing customer intimacy at scale: a digital service combines large, potentially global scale - hyperscale - with a personalized touch - microcare - to cater to the needs of a large customer base. We'll discuss how you should leverage pay as you go subscription models, the API economy and clever analytics to build an intimate relationship with hundreds, if not thousands of customers. We'll discuss the core metrics and competences needed to master the digital métier. The Valuation Paradox and the Digital Assets - Ever wondered why some startups receiving such high valuations? It's hard to correlate this valuation with the numbers in their books. 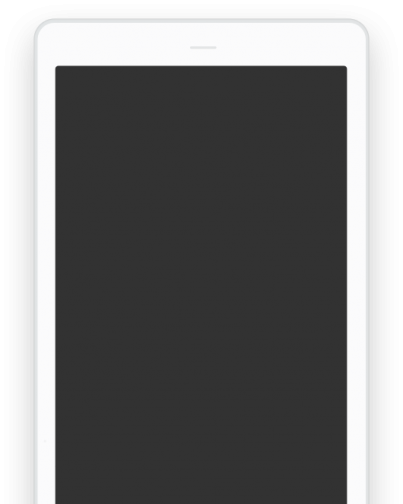 In the 3rd section of our book, we discuss this valuation paradox, and we'll introduce 3 new digital assets you'll need to build up. Nick is a mentor, coach and regular speaker on topics like Cloud, SaaS, data driven product management and software engineering. He's an interim CTO for a number of startups. Prior to working at Sirris, Nick was a software engineer at LMS international and EMC. You can find here the table of contents and one chapter of the book (the openness for cloud solutions).